There are literally hundreds of different types of greens that are categorized as bitter greens. They all have flavors that are mild to strong, some are intensely peppery, almost spicy, while a few are slightly sweet. If you have found yourself staying clear of bitter greens because of the flavors, maybe you should give them another chance, because of the new understanding of their health benefits. Many of these bitter greens have disease-fighting phytochemicals like polyphenols, flavonoids, glucosinolates and betalains. These phytonutrients can help lower your risk of cancer and cardiovascular disease. Here are some tips for taming the bitter flavor of bitter greens so you can enjoy their healthy benefits. 1. Select young, small leaves, since they tend to be the most tender and milder in flavor. 2. Add a small amount of bitter greens to a dish that has multi-ingredients, like soups, stir-fry’s, casseroles, or salads. 3. The flavor is also tamed by the addition of fat, such as olive oil, avocado oil or butter. Also adding salt from tamri or bacon or sweet flavors from dried or fresh fruit , and including balsamic vinegar. 4. Add a small amount of bitter greens to your smoothies, like bananas, pineapple, berries, as they are good for masking the flavor of bitter greens. 5. Tear the bolder, peppier flavored greens into small pieces and mix them with milder to sweeter leafy greens to liven up salads without being too overpowering. You may need to acquire a taste for these bitter greens, but with the right preparation you can enjoy them. Even in small amounts, these greens can give big benefits for your body and your palate. 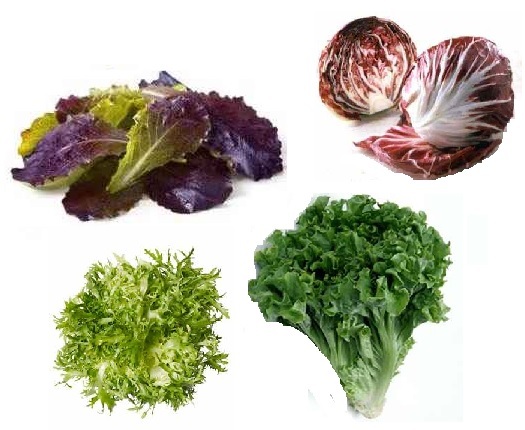 Here are some splendid recipes you could start with to acquire the taste for these healthy foods – bitter greens. Arugula salad. Let’s talk about arugula. This entry was posted in Reviews - Kitchen Utensils - Cooking - Food and tagged Balsamic vinegar, Bell pepper, Bitter Greens, Cook, Home, Leaf vegetable, Olive oil, Phytochemical, Salad. Bookmark the permalink. Thanks for stopping by and enjoy your bitter greens.